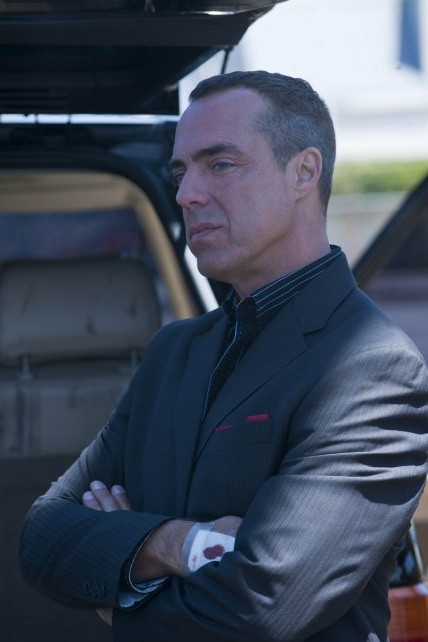 The part of Jimmy O'Phelan on Sons of Anarchy was played by Titus B. Welliver. Titus B. Welliver (born March 12, 1961) is an American actor and painter. He is known for his recurring roles in film and television and his portrayal of the The Man in Black on Lost. Welliver has worked on several film projects, including The Doors, Rough Riders, Mulholland Falls, Twisted, Biker Boyz, and Assault on Precinct 13. He played Al Capone in the movie Mobsters, had a recurring role as a doctor on the television show NYPD Blue, and was one of the stars of the CBS police drama Brooklyn South. Moreover, Welliver is well-known for playing the semi-regular character Silas Adams on the HBO series Deadwood, as well as for his prominent role as Lionel McCready in Ben Affleck's Gone Baby Gone. He is a longtime friend of actor Laurence Fishburne, with whom he appeared in Fishburne's directorial debut Once in the Life. Welliver played “The Representative” in two episodes of Prison Break. He portrayed Kyle Hollis (a.k.a. Reverend Orson Parker) in the NBC series Life, appeared in the season five finale of Lost as the “The Man in Black” and continued to portray this character during the sixth and final season. He was introduced into FX's Sons of Anarchy midway through season two, in which he portrays Irish gun kingpin Jimmy O'Phelan. In 2009, he started playing the role of Prosecutor Glenn Childs, a rival of Chris Noth's character, in the CBS series The Good Wife. He recently joined the cast of the apocalyptic drama The Last Ship, as Thorwald, a local warlord fighting underground in a dying world infected by a global pandemic. He is the current ambassador for “Gentleman Jack's” What is the order? campaign. Welliver also is currently appearing in television advertisements for Comcast Business Class. In the Sons of Anarchy, James “Jimmy” O'Phelan was a street boss and was the face of the True IRA group who sold guns to SAMCRO. He is one of the main antagonists in Season 3. He is only answerable to the Real IRA army council, who he later betrays.The IRA Army Council purposely stays out of the spotlight to avoid capture and imprisonment. They are not involved in the day to day activities of the group, as they only make important decisions. Jimmy runs the day to day activities and recruitment. He also keeps the heat away from the council. O'Phelan also shares a long history with Chibs as it was he who kicked Chibs out of the IRA and banished him from Ireland. He then married Chibs' wife Fiona Larkin and adopted his daughter Kerrianne Larkin-Telford. Jimmy is also responsible for the scars on Chibs' face.